Tuesday's elections ushered in a wave of young, diverse political leaders, many of whom are women. Michigan’s Rashida Tlaib and Minnesota's Ilhan Omar became the first Muslim women elected to Congress. Both candidates support staunchly progressive policies, such as a $15 minimum wage and immigration reform. 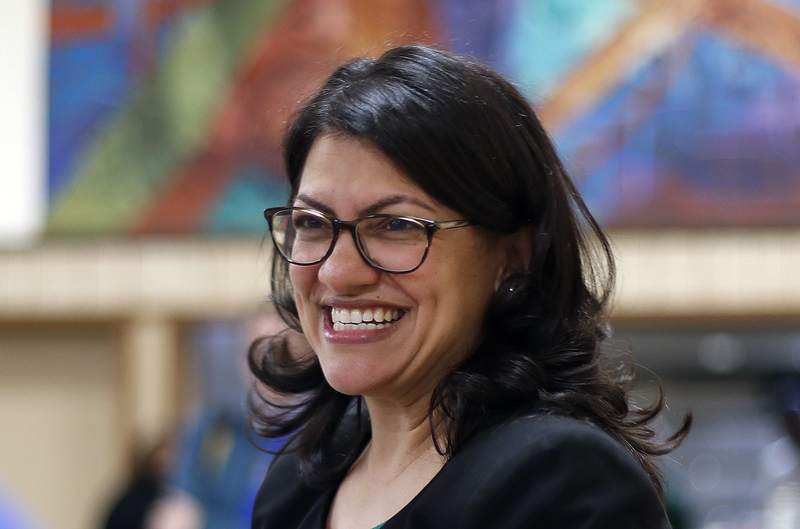 Tlaib, who previously served in the Michigan House of Representatives, is the daughter of Palestinian immigrants. She ran unopposed. 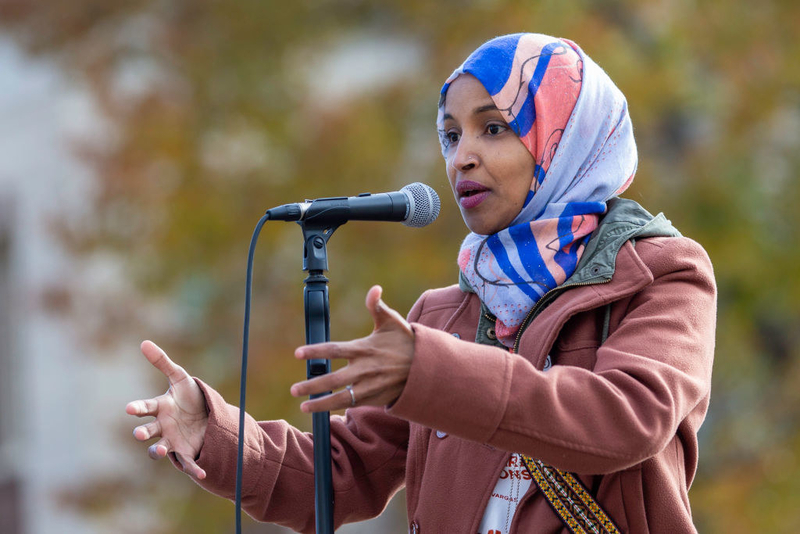 Omar, a member of the Minnesota House of Representatives, came to the US as a young girl after escaping the Somali Civil War with her family at age 8 and spending four years in a refugee camp in Kenya. After Tlaib's win was called, Omar congratulated her "sister" on Twitter for the historic occasion. "I cannot wait to serve with you, inshallah," Omar tweeted. 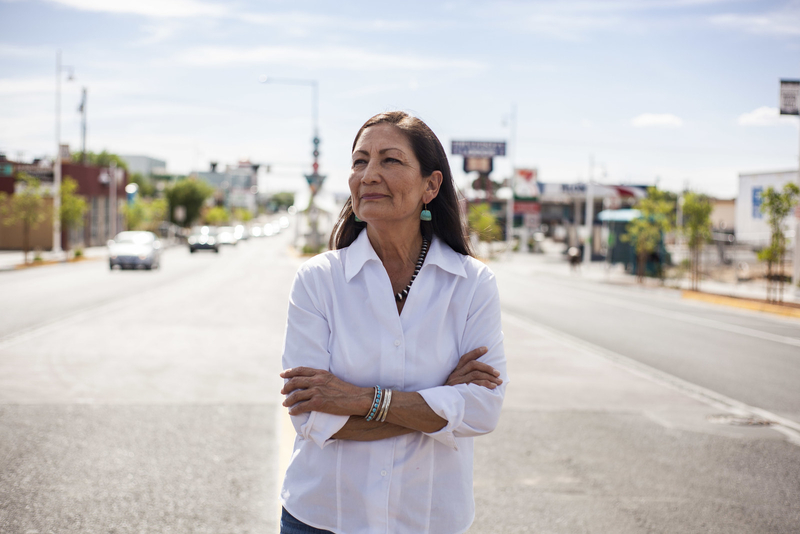 Deb Haaland and Sharice Davids won seats in the House of Representatives on Tuesday, becoming the first two Native American women in Congress. 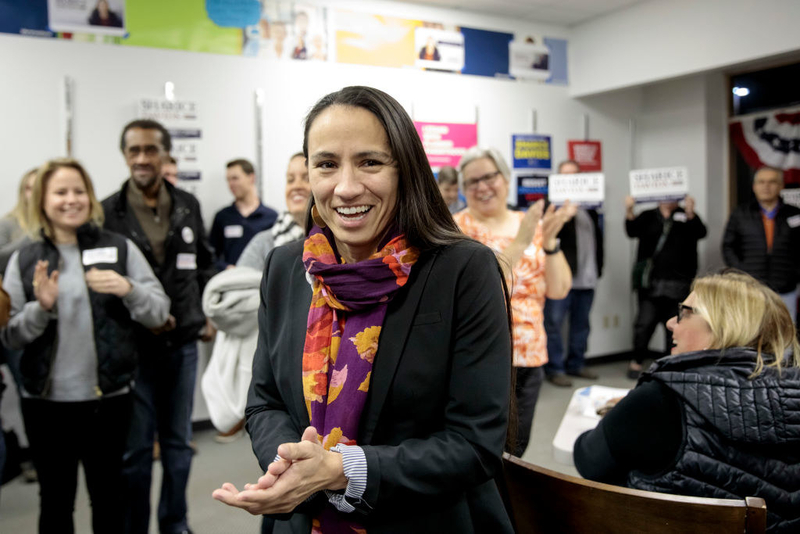 Davids, a Democrat and a member of Ho-Chunk Nation, also makes history as the first openly LGBT representative in Kansas and the first openly LGBT woman of color in Congress. Alexandria Ocasio-Cortez, a New Yorker who turned 29 in October, became the youngest woman ever elected to Congress on Tuesday. Abby Finkenauer, who turned 29 in December, was elected in Iowa. 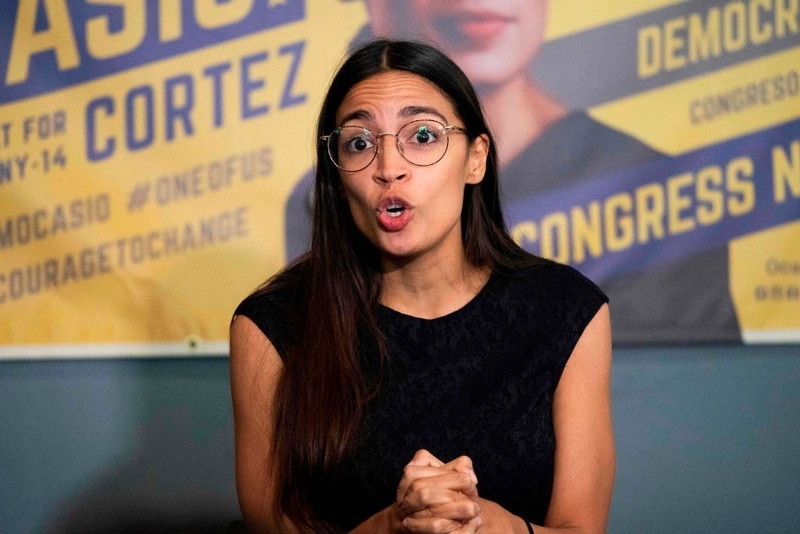 Ocasio-Cortez won the her primary in New York in a shocking upset, beating Rep. Joe Crowley, who had served since 1999 and was considered to be a possible successor for House Minority Leader Nancy Pelosi. An aide on Ocasio-Cortez’s campaign said they were “shell-shocked” by her victory. 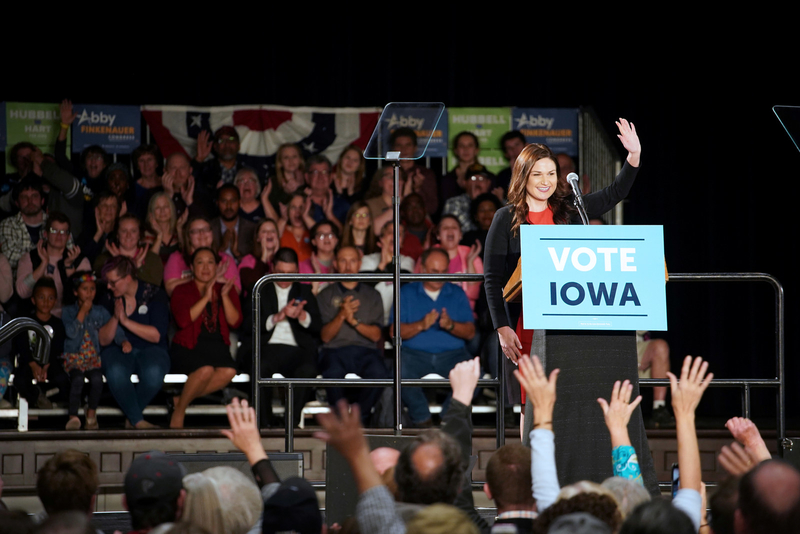 Finkenauer also made history alongside Cindy Axne as Iowa’s first women elected to the House of Representatives. Pressley, a Boston city councilor, is Massachusetts' first black woman to be elected to Congress. After beating longtime incumbent Michael Capuano in the primaries, Pressley burst into excited sobs, asking, "We won? We won?" Video of the emotional moment went viral on Twitter. Pressley told BuzzFeed News in June, "My experiences as a black woman, my worldview and how that's shaped my values are in sharp contrast with how [Capuano] sees the world. Now, the electorate gets to decide if my view is better. All I'm saying is it's different." Jared Polis won his race for governor of Colorado on Tuesday, becoming the first openly gay man elected governor in history. A Democrat who currently serves in Congress, Polis was previously an entrepreneur who founded BlueMountain.com and ProFlowers. He and his partner have two kids, also making Polis the first openly gay parent in Congress. Only one openly LGBT person has been elected US governor before, when Kate Brown, who is bisexual, was elected in Oregon in 2015. She was reelected Tuesday. Polis hasn’t spoken much about being gay during his campaign, but told ABC this kind of progress shouldn’t come as such a surprise in Colorado. "Colorado is a groundbreaking state," Polis said. "We've had LGBT speakers in our state assembly, Senate minority leaders, commissioners." Lou Leon Guerrero won 50.7% of the vote, winning her the race and making her Guam’s first woman governor. 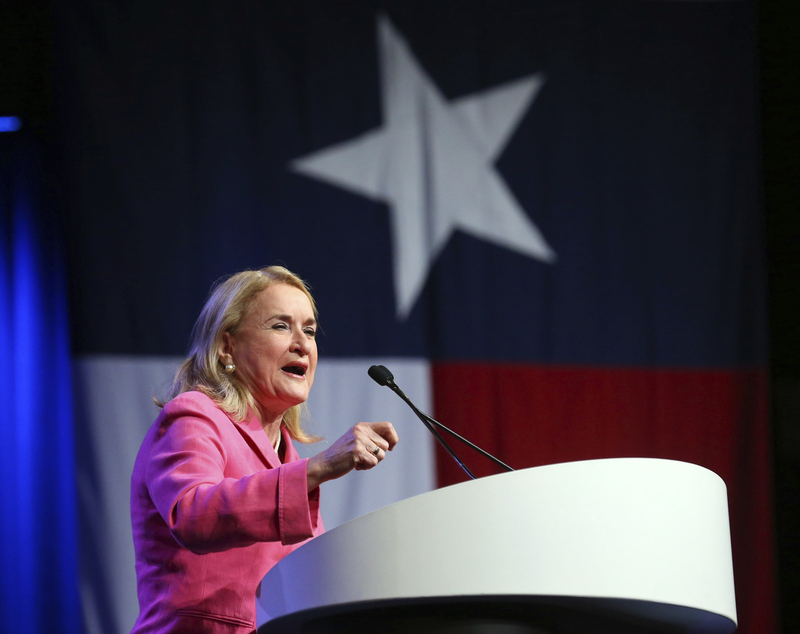 Escobar, a former El Paso County judge, and Garcia, a state senator, became the first two Latina congresswomen representing Texas on Tuesday. Both are Democrats. "It’s really hard for women to run, when you have children. Even in the most modern of marriages or partnerships, frequently the mother is the primary caregiver," Escobar told the Texas Tribune in March. "Timing has to be right for a lot of us. 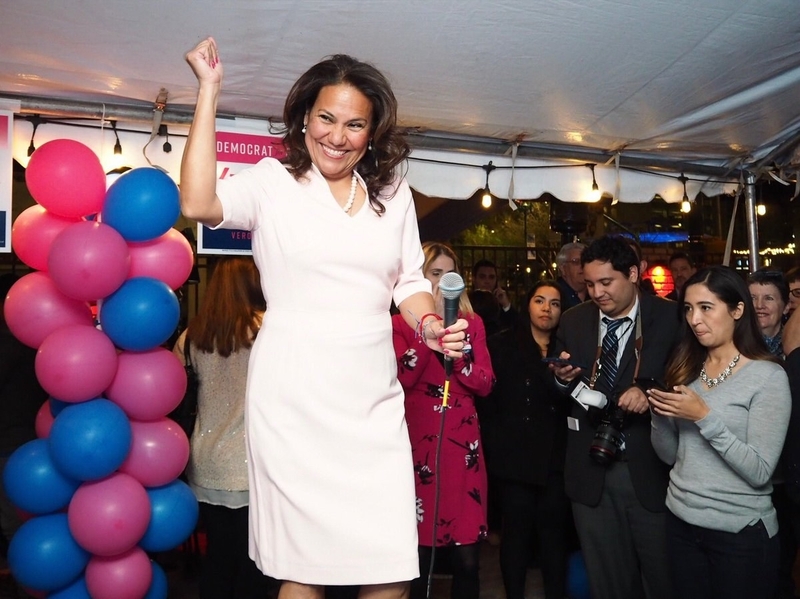 And I think it’s even harder for women of color because fundraising is really such a huge component of running in a congressional race and many of us may have limited networks." Craig, a Democrat in Minnesota, unseated her opponent Rep. Jason Lewis, a Republican who has compared gay people to rapists and called bathroom access for transgender students an "abomination." In addition to being the first openly lesbian mother in Congress, Craig is also the first openly LGBT member of Congress from Minnesota. Tennessee Republican Marsha Blackburn beat out former governor Phil Bredesen, a Democrat, making her the state's first woman senator. She won despite her opponent receiving the endorsement of Taylor Swift, which led to a flood of new voter registrations last month. Hayes grew up in public housing, became a mother at 17, was the 2016 National Teacher of the Year, and is now Connecticut’s first black congresswoman. Still, this historic milestone didn’t cross her mind until she started campaigning, she told the Nation. Republican Rep. Kristi Noem won an uncommonly tight race against Democrat Billie Sutton, becoming the state's first woman to serve as governor. "I feel relieved," Noem told the Associated Press of her victory. "We worked hard and shared my vision for the state, and I'm just very grateful that the people of South Dakota put their trust in me to be their next governor." Mills, a Democrat, is now the first woman to ever be elected governor in Maine. She previously served in the state House and was the first woman in Maine elected as state attorney general. Democrat Kyrsten Sinema, the first openly bisexual person elected to Congress, defeated Republican Martha McSally to win a US Senate race in Arizona, narrowly flipping a seat long held by Republicans in a come-from-behind victory one week after Election Day. After trailing narrowly on election night Tuesday, Sinema had steadily gained an advantage over her Republican opponent as votes continued to be counted in subsequent days. By Monday night, the Arizona Secretary of State's official vote count showed her leading McSally with 49% of the vote, with an advantage of 38,000 votes that would be virtually impossible for the GOP contender to overcome. Sinema, a former social worker and Green Party spokeswoman, served in Arizona's state legislature as a Democrat before being elected to the US House of Representatives in 2013. This post has been updated to reflect that California Republican Young Kim, who would have become the first Korean-American woman in Congress, is no longer projected to win a congressional seat.